A source close to The LEGO Movie claims that Star Wars hasn't been forgotten, and that an unveiling of specific characters is coming soon. In many ways, The LEGO Movie is a theatrical culmination of everything LEGO has achieved in its videogames thus far, assembling a team of fictional characters in block form and just pitting them against each other. The trailer alone introduces an impressive number of personalities from various LEGO-licensed franchises, including Batman and Superman, but so far no characters from the formative LEGO Star Wars games have made an appearance. Although that might disappoint your twelve-year old self, the logic behind the decision is easy to understand. The LEGO Movie is being produced by Warner Bros, while Star Wars is owned by its competitors at Disney. Merging the two franchises on film would be a legal nightmare that simply can't be justified by how mind-bendingly awesome it is, right? 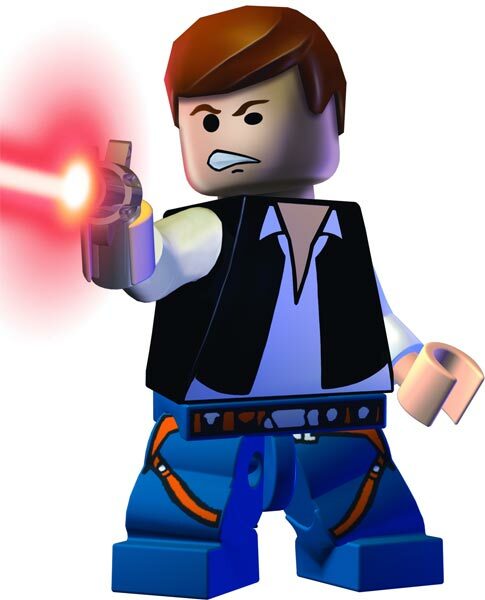 Actually, your twelve-year old self can start getting a little more excited: A source close to production is claiming that LEGO Star Wars characters will be a part of The LEGO Movie, and that an official unveiling announcement is on the way. This information is still very much in the rumor stage, and if true, we can't be certain how big of a role the undisclosed Star Wars characters would play. That being said, let me call it right here: the climatic fight scene of The LEGO Movie will be between Superman and Darth Vader. Heat Vision vs. Lightsaber, Super-strength vs. The Force. This must happen.